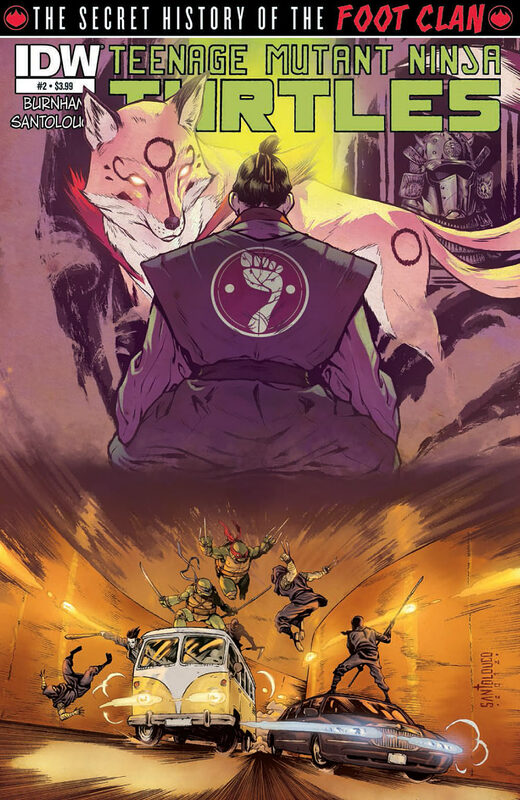 This issue, IDW sweeps the board, with My Little Pony: Friendship is Magic #3 and the first two installments of the latest Teenage Mutant Ninja Turtles mini-series, “The Secret History of the Foot Clan,” which tells the secret history of the Foot Clan. Turns out they were a parody of Marvel’s Hand ninjas all along! 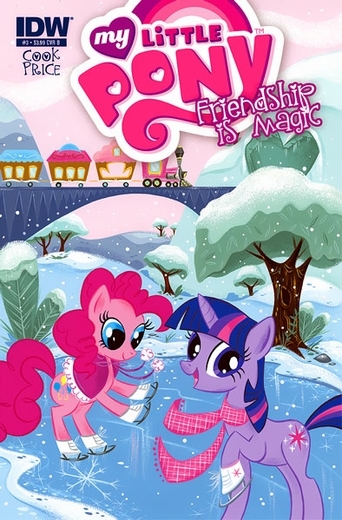 The A cover for this issue of My Little Pony: Friendship is Magic looks like a really, really rejected Marvel Secret Invastion crossover cover from a few years back. At least it gives you some kind of warning; heaven help you if you got the B cover, featuring Twilight Sparkle and Pinkie Pie happily ice skating. I may be the guy that juxtaposed Hack/Slash with this series last time, but I’m just kidding around. Apparently some like their ponies like their coffee; black and bitter. The book starts innocuously enough, with Spike and Angel (oh, I just got that!) starring in a quick recap page that features Andy Price turning the ponies into silent era animation stars. It’s awesome, actually. Then, we get the backstory for Queen Chrysalis and what she’s been up to since the show’s season two finale, and, seriously, I did not need to know that. This issue contains not one, but two panels where ponies stare in stunned horror at off-panel violence; that’s approximately two more such panels than are needed in your average crossover issue of Secret Invasion, actually. I don’t know if it was the dark and gritty beginning that turned me off, or if they were all just a bit flat, but some of the jokes were awful. Pinkie Pie and Rainbow Dash wear giant fursuits of themselves; it sounds like it should be hilarious, but the joke never got past that stage. Just draw it again and again and again without ever explaining or paying it off; comedy gold! 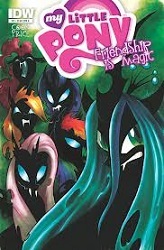 Good job, My Little Pony: Friendship is Magic #3; you got the first Pull List thumbs down. This mini-series, written by Mateus Santolouco and Erik Burnham with art by Santolouco, instead of the series regulars, begins with a bang – a violent showdown between an army and a lone samurai. It’s a great samurai comic in and of itself, and it’s just five pages long. 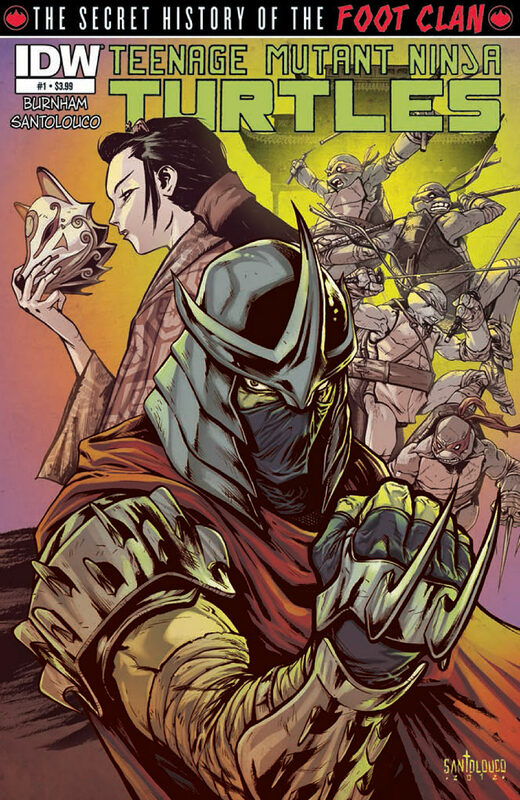 It also answers the question of how the Foot Clan got their name in universe. It ends on a surprising reveal; no spoilers here. A great beginning to what’s shaping up to be a great mini-series. Issue #2 puts the spoilery reveal from issue #1 to the side; it’s never brought up, so I can review it without worrying. The turtles and the Foot Clan get into a series of battles for possession of the book in the present, while in the past the issue deals with the story of a young Shredder. There are some great action set pieces in this one; the one featured on the cover, with the turtles fighting Foot ninja on the top of April’s van, is the centerpiece, and it is about as exciting as an action set piece gets in comics. The story features the professor of archeology caught in the middle of these two forces; the turtles don’t trust him because he is apparently working for the Shredder – but from his perspective, he just doesn’t know the Shredder like the turtles do. A word about Santolouco’s art; it’s freaking great. Take a look at those covers; they are a good indication of what is going on inside the book as well. Lots of detail with a slight, but totally appropriate, Japanese style. A great blending of East meets West, which is what the Turtles are all about, after all. Your MLP review is fascinating. Now that the arc's been completed with #4 (no spoilers here!) my impression is that most fans (boringly including me) consider #3 to be the best of the four, largely because of its dark tinge. Pinkie's steadfast refusal to explain anything also seems to be popular -- so maybe it's a good thing to be reminded that not everyone exists in our little cocoon! (Reference not intended.) Also, since Amy Mebberson (who did the A cover) is going to be the actual comic artist for issues #5 to #8, I wonder what you'll make of those! The MLP fandom in general likes the MLP comic because it was written for bronies. That is, some exec went "so, how do we capitalise on this young male demographic? We should try and do that before it loses interest. I know, a comic! The young male demographic loves comics." Yeah, girls can like comics, some girls may like this one, etc. I've heard all these arguments multiple times when I point this out. It doesn't change the fact that the target demographic for the comic is not the one the show is aimed at. And the comics completely lack that "spark" that makes the cartoon so much fun. It's just reference after reference and unnecessary maturity for the sake of maturity and tempting those bronies to finally part from their money (because we all know bronies don't buy the toys). 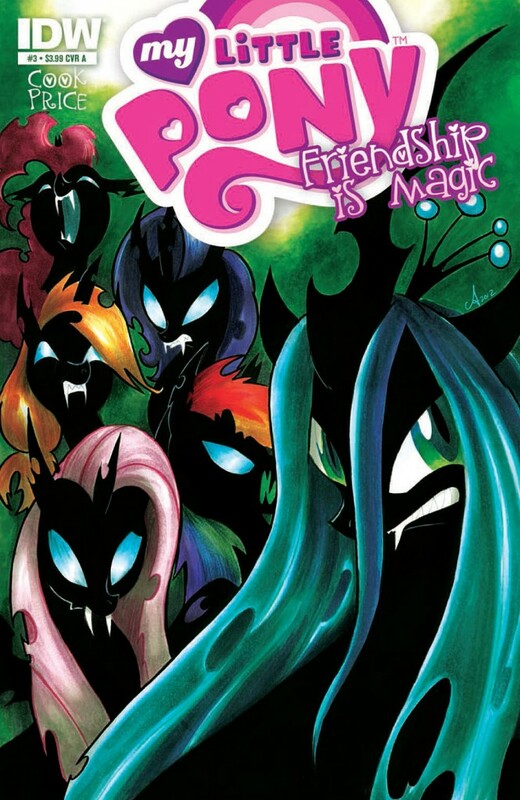 There's no doubt that there are far more bronies reading the comic than there are seven-year-old girls -- though part of that is that comics of this sort almost never get sold outside comic shops. The UK-published official monthly MLP magazine has been on my local supermarket's shelves for over a year, and always seems to sell out. From a British point of view, therefore, it would be silly marketing if IDW's effort *did* directly compete.